Transfer Talk: Man United to swap Paul Pogba for Juventus' Douglas Costa? TOP STORY: Man United to swap Pogba for Costa? 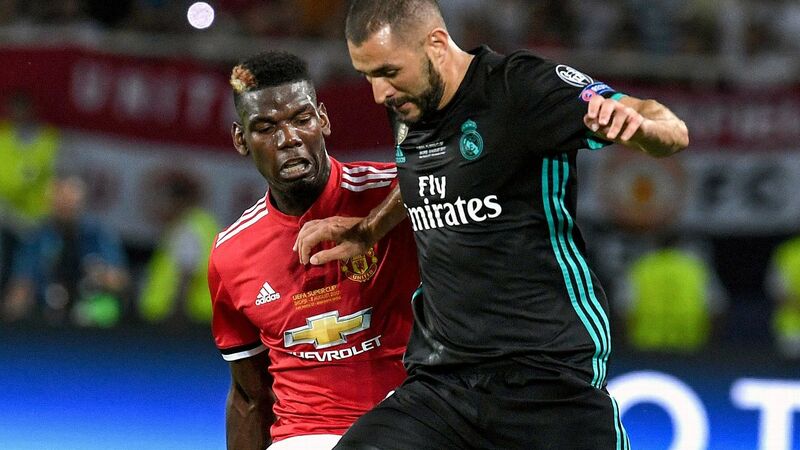 Paul Pogba has enjoyed something of a revival at Manchester United since Jose Mourinho was helped through the exit door, but his future at the club still isn't certain. The France midfielder is a known admirer of his former club Juventus and the Italian champions are ready to do a summer deal which would see winger Douglas Costa go in the other direction, according to Tuttosport. Mourinho was reportedly told that United were planning a raid for Costa shortly before being axed as manager, but that didn't help matters much. Now it's down to executive vice chairman Ed Woodward to get a deal done for whoever the new boss at Old Trafford is this summer. Though if Pogba keeps up his impressive form, he might want to renegotiate a bit. 23.30 GMT: That will do it for this edition of Transfer Talk LIVE, remember to check back in a few hours for the latest rumours, rumblings and completed deals. Enjoy the weekend's games and have a great night! Spanish outlet Sport claims that Barcelona are keeping a close eye on struggling Chelsea striker Alvaro Morata, with the possibility of bringing him in on loan in January on the table. A guy who can't get into the team at Chelsea and who cleary has his confidence shot going to Barcelona? The transfer window really never ceases to amaze. It is true that Barca don't have a natural No. 9 behind Luis Suarez, and with Munir having been sold to Sevilla and Malcom struggling, maybe the Blaugrana take a swing on Morata. The Spain international has five goals in 16 Premier League appearances this season and has scored just 24 goals in 72 appearances since arriving last summer from Real Madrid for an initial £58 million. 22.27 GMT: Marcelo Bielsa and Leeds made headlines for the wrong reasons ahead of Friday's clash with Derby but after a 2-0 win, more good news could be on the way. According to Sky Sports sources, Leeds are in talks to sign goalkeeper Kiko Casilla from Real Madrid. The 32-year-old, who has been at Madrid since 2015, has not played much and would provide cover for Bielsa's side after Jamal Blackman's injury in November. It's never boring over at Elland Road. 21.18 GMT: DONE DEAL -- Barcelona manager Ernesto Valverde confirmed the other day that Munir El Haddadi had played his last game for Barcelona and would be sold in January. Now it is official with the city of Seville the destination for the 23-year-old Spaniard. With Munir out of contract in the summer, Sevilla are hoping for a bargain buy, as the once-capped Spain international's talent is worth the risk of a fee of just €1 million. Munir was once viewed as one of of La Masia's brightest stars and rapidly rose through Barcelona's youth ranks. At senior level he made 56 appearances and scored 12 goals over five seasons with Barcelona, spending most of the last two seasons on loan, first with Valencia and later Alaves. With playing time scarce at Camp Nou, Munir will hope a change of scenery will help him ignite what once looked like a very promising career. 20.30 GMT: With Cesc Fabregas' move to Monaco now complete, Chelsea can now move on to the task of replacing the decorated Spaniard. The Mirror reports the Blues have deals in place for two targets: Cagliari's Nico Barella and Zenit St Petersburg's Leandro Paredes. The paper claims the club are now choosing which deal to go through with, with Paredes the likelier buy due to the timing and trickiness of the January window. The 21-year-old year Barella has quickly emerged as one of the brightest talents in Serie A and is valued at £40 million, while Paredes, a 24-year-old Argentine, is thought to have an evaluation of £30m. 19.27 GMT: Arsenal are still after Barcelona's Denis Suarez during this transfer window but another player's name is increasingly being linked to the London club. That player is dynamic Porto winger Yacine Brahimi. 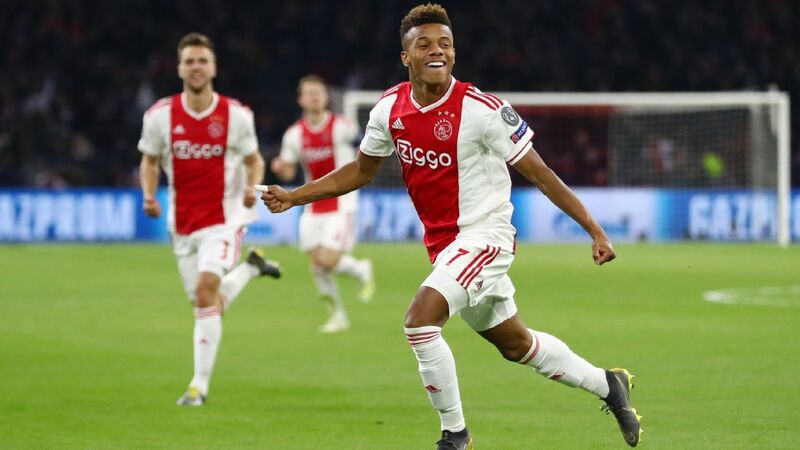 The Mirror claims that the attacker, who is available on a free this summer, could be a fit with Unai Emery's men. The 28-year-old has seven goals and six assists for Porto so far this season and is coming off a 2017-18 season in which he totalled 12 goals and 10 assists. Out of contract in the summer, Brahimi has played 39 times for Algeria internationally and has also been linked with Manchester United. 18.54 GMT: DONE DEAL: Shifting over to Major League Soccer for a moment, we have another done deal. The Houston Dynamo have signed veteran MLS midfielder Tommy McNamara. The 27-year-old spent the past four seasons with New York City FC, peaking in 2016 with five goals and nine assists. 18.00 GMT: DONE DEAL: And one of the bigger moves we have been waiting on is now official: Cesc Fabregas has completed his move to AS Monaco. 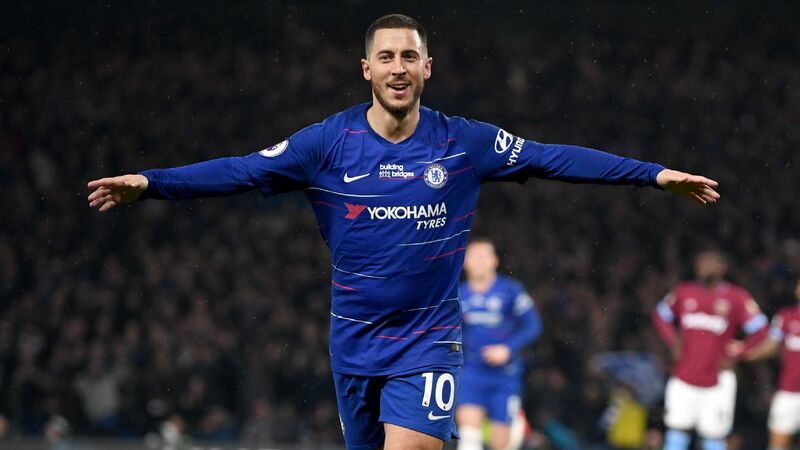 The 31-year-old string-puller had played just 175 minutes in the Premier League this season at Chelsea and was publicly given the green light to leave by new new boss Maurizio Sarri. Fabregas reunites with ex-Arsenal teammate Thierry Henry at Monaco, Henry having taken over as manager of the principality club in October. Monaco sit second bottom in Ligue 1 and Henry will hope Fabregas can ignite some life into an attack that has scored just 16 goals in 18 games. 17.07 GMT DONE DEAL: Liverpool have sent youth team player Taiwo Awoniyi off to play for Belgian club Royal Excel Mouscron on loan. Taiwo Awoniyi has joined @ExcelMouscron on loan for the rest of the season. 16.43 GMT: Wolves boss Nuno Espirito Santo is refusing to be drawn on links to players such as Liverpool's Divock Origi, who as we found out earlier will not be moving this month. "I don't speak about rumours," he said. "Our approach is simple, we do our work at home and when things happen we announce then. Until then -- rumours." 16.01 GMT: Chelsea are reluctant to sell Willian in January amid concerns that doing so could damage Maurizio Sarri's chances of leading the club to a top-four finish in the Premier League, sources have told ESPN FC. Reports on Thursday claimed that Chelsea had rejected an offer worth £50m from Barcelona for Willian that would see fellow Brazilian winger Malcom move in the other direction to Stamford Bridge. Sources said that it would take a significant cash bid for Chelsea to consider parting with Willian, who is regarded by Sarri as a key first-team contributor despite his status as an unpopular figure with many fans. 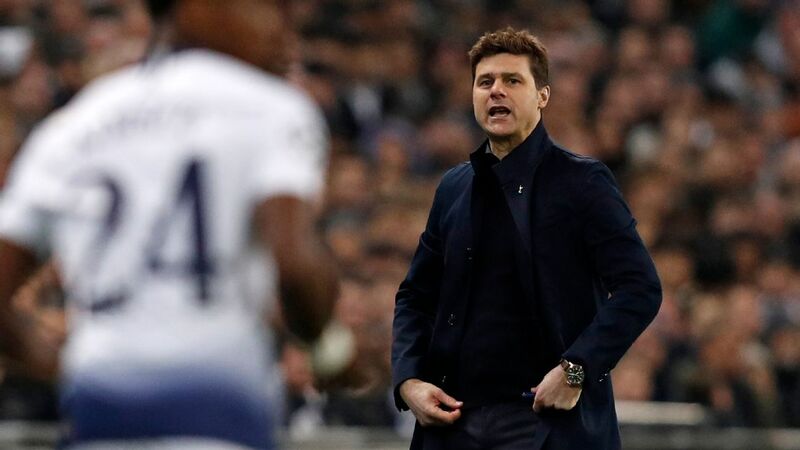 15.40 GMT: Mauricio Pochettino has said Ole Gunnar Solskjaer's motivation to beat Tottenham at Wembley on Sunday will have little to do with the managerial situation at Old Trafford. "For him it's a massive motivation or challenge to manage Manchester United, like for me it's a massive challenge to be in front for this football club, Tottenham." 15.18 GMT: Chelsea's Michy Batshuayi has been linked with a move to Monaco but manager Thierry Henry isn't giving too much away. "Michy? I know him, we rubbed shoulders with Belgium, he is a player who can be interesting," he said. "But again, nothing is done. You have to be patient. It's important that players know the championship, though." 15.02 GMT: Former Leicester defender Robert Huth always had a way with words. 14.44 GMT: Jorge Mendes is having an impact on Wolves. The super-agent has already helped to bring in Ruben Neves, Rui Patricio and Joao Moutinho and now Corriere della Sera reckons he is attempting to get the club to sign Lazio defender Wallace. The Brazilian centre-back is highly rated, except Lazio have rather a lot of defenders and he's not getting much of a look in. Over to you, Jorge. 14.23 GMT: Manolo Gabbiadini has completed a permanent move from Southampton to Sampdoria for an undisclosed fee. 14.14 GMT: Pep Guardiola said top clubs don't buy players for just six months, which is why Manchester City will not be making any new signings in the January transfer window. 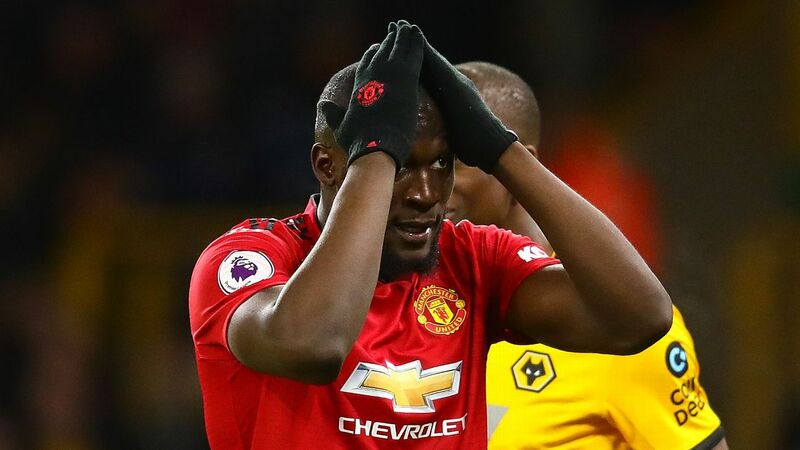 "The big clubs don't buy big players for just six months and important players are not sold in this period," he told a news conference. "If you have no injuries and you are satisfied, like in our case with your players and your squad you have, we decided, going well or going bad, to go with the players we had at the start of the season." 14.04 GMT: Two Liverpool players on the fringes of the first team are set to remain at the club this month. A source has told ESPN FC that it is unlikely striker Divock Origi will be on the move this month. The sale of Dominic Solanke to Bournemouth last week means Jurgen Klopp is reluctant to lose adequate backup to his forward options for the rest of the season. Meanwhile, Klopp said at a news conference on Friday that Rafael Camacho would not be on the move. 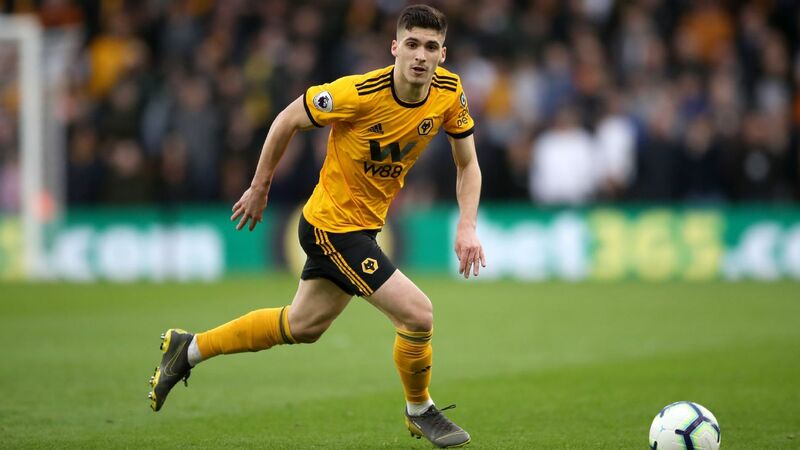 Sources said the 18-year-old, who made his senior debut at Wolverhampton Wanderers in the FA Cup on Monday, has been drawing loan interest from Sporting Lisbon. 13.50 GMT: Tottenham boss Mauricio Pochettino is only going to end up at one place, isn't he? 13.32 GMT: Tottenham and Manchester United have shown interest in Fulham teenager Ryan Sessegnon but despite having just 18 months of his deal left, manager Claudio Ranieri is optimistic he will stay. "Sooner or later his agent will find a solution," he said. "It is not my job. I want him, I believe in him. I hope soon it can be finished." 13.03 GMT: More frankly baffling quotes from Chelsea boss Maurizio Sarri about not being involved in transfers at the club in any way, when asked about Gonzalo Higuain. But he did have something to say on Bayern Munich publicly expressing their interest in signing Callum Hudson-Odoi (who sources have told ESPN doesn't want to sign a new contract) in January. "I think that it is not professional because they are talking about a player under contract with Chelsea, so they didn't respect our club," Sarri said. "Then I don't know what to say I don't know the situation. I am happy with the player because he is improving, improving a lot in the defensive phase. Now he needs to improve in some movements without the ball but he is working very well at the moment. I am very happy with the player and would like to have him in the future." 13.03 GMT: Gabriel "Gabigol" Barbosa has become a Flamengo player -- signing on a loan until December 2019 from Inter Milan. 12.54 GMT: Bournemouth striker Callum Wilson has been linked with a £50m move to Chelsea but his boss Eddie Howe says that won't be enough money. In fact, nothing will. "It's just my opinion but I wouldn't sell at any price," he said. "But I'm the manager of the team, trying to create the best team I can. We desperately want to take the team forward and to do that, we have to keep our best players." 12.39 GMT: The fight for Michy Batshuayi goes on and Monaco are now interested, according to the Daily Telegraph. The Chelsea striker's loan at Valencia is being cut short with Everton and Crystal Palace already keen. 12.27 GMT: So Arsenal can't sign anyone on a permanent deal, only loans, this January but that won't stop them planning for the summer. The Daily Express says that 22-year-old striker Donis Avdijaj is on the radar. Avdijaj is a Kosovo international who plays at Dutch side Willem II, so we'll forgive you if you haven't heard of him before. Not really a move to get Arsenal fans excited about transfers again after yesterday's news is it? 12.12 GMT: A source close to Orlando City has told ESPN Brasil that the MLS club is tired of waiting for veteran Diego Ribas to decide on a move and has withdrawn its offer to Flamengo. "We got tired of waiting," the source told ESPN's Jorge Nicola. "No one should have thought twice about this, because we were making them the offer of a lifetime." Orlando could yet restart the negotiations if the player "shows that he really wants to play in the United States," but Ribas told ESPN after the Florida Cup on Thursday night that there was never a well-defined proposal and that he is willing, as he always has, to "give his body and soul" to Flamengo. 11.51 GMT: Odd one here, but Kasimpasa striker Mbaye Diagne has been the subject of a reported £13.5m bid from Chelsea, according to Milliyet. 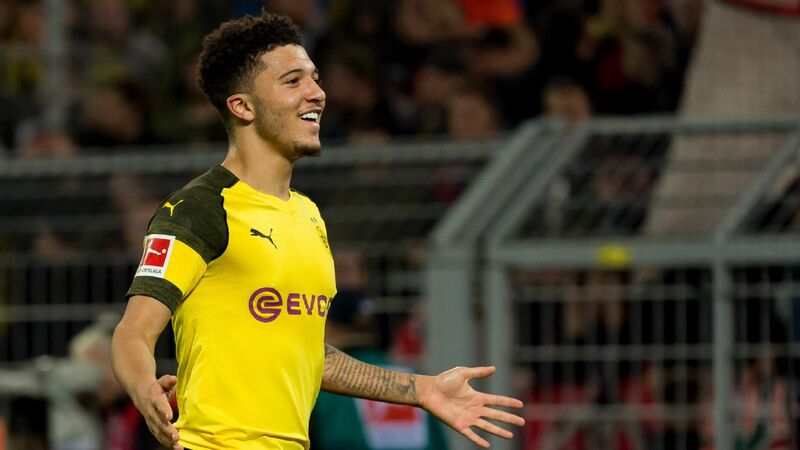 11.34 GMT: Calling agent Jadon Sancho ... make sure Callum Hudson-Odoi doesn't join Bayern, OK? 11.20 GMT: Aaron Ramsey looks likely to be heading to Juventus once his contract at Arsenal expires this summer, but Gazzetta dello Sport claims that Juve want him in January and are looking at options to make that happen. Option 1 is to pay €20m, which doesn't seem likely. But the paper says Option 2 is to include defender Mehdi Benatia into the deal. Though that isn't ideal either given Andrea Barzagli's recent injury. Looks like they may have to wait after all. 11.04 GMT: Mario Balotelli could still see out the season at Nice, the French club's coach, Patrick Vieira, has hinted despite reports the Italy striker could soon agree to cancel his contract. Balotelli has missed his club's past four matches and was given "a few days to think about his future" by Vieira when his teammates returned to training after the festive break. "Mario is still here. He's a player who is under contract, but Mario is still here. Mario is still part of the squad," Vieira said. "He's in a situation where he needs to think about his future in terms of what he wants to do and his options. We're waiting for him to come back to know what he wants to do. Nothing is impossible, from the moment when a player is under contract nothing is impossible." Marseille, who had been expected to sign Balotelli last summer, are reportedly leading the chase for the 28-year-old's signature. 10.47 GMT: Staying in Spain, El Mundo reports that Neymar has contacted Barcelona at least five times in recent months "to ask and beg to return to the club." Neymar's father, Neymar Santos Sr, has reportedly spoken personally with Barca president Josep Maria Bartomeu as well as other prominent members of Barca's board to transmit that his son is unhappy in Paris, that he regrets leaving Barca and that there is no future for him at the club. According to the publication, talks between Barca and Neymar's camp have been ongoing since last season but the Catalan giants will consider making a move for his return only if the Brazil international withdraws a lawsuit he placed against the club. Neymar has taken Barca to court over an unpaid part of his renewal bonus, with the first hearing expected to take place on Jan. 31. 10.35 GMT: Barcelona sporting director Eric Abidal turned down the chance to sign Chelsea forward Alvaro Morata, according to El Mundo Deportivo. Juanma Lopez, the agent of the Spain international, reportedly offered the player's services to Barca first earlier this month before proposing Morata's loan deal to Sevilla and Atletico Madrid. According to MD, Barca turned down the option to sign Morata on a six-month loan because they were concerned about spending €5m in wages and are looking for a younger player to strengthen their attack anyway. 10.22 GMT: It's not often we are speechless here at Transfer Talk, but this next one is unbelievable. Kazuyoshi Miura was playing in the J.League when Gary Lineker and Zico were in Japan but AT THE AGE OF 51, he has signed a new one-year contract with Yokohama FC. The J.League announced that the forward will play for the club in the second tier throughout the 2019 season. "I updated the contract for the 2019 season," "King Kazu" said after signing the new deal. "Thanks to everyone who always supports." 10.15 GMT: Manchester United forward Juan Mata says he wants to focus on doing well in England and is not actively seeking a return to Spain anytime soon. Asked if he would return to play in Spain, Mata told AS: "I don't know. 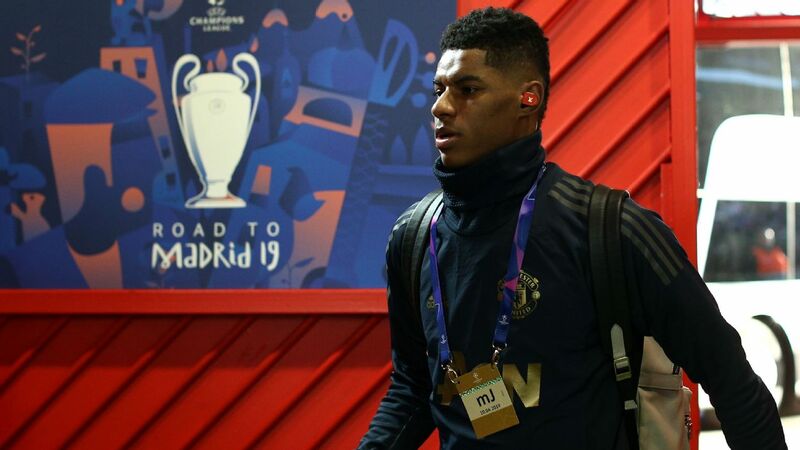 I've been in England for some time, it's a league I feel very comfortable playing in and have adapted very well to it; but it's true that sometimes one misses home, his family, his friends ... but I don't know if in the near future I will return to Spain." Asked about his immediate future, he added: "I'm calm. I'm in a fantastic club as Manchester United is, one of the most important clubs in the world. My mentality has to be short-term and do things well." 10.10 GMT: James Collins is set to join struggling Ipswich until the end of the season, Sky Sports reports. Former West Ham defender Collins recently ended a short-term deal at Aston Villa early because of an injury. 09.55 GMT: Fulham and Bournemouth, along with Championship duo West Brom and Aston Villa, are interested in Everton midfielder James McCarthy, according to reports. 09.35 GMT: Inter Milan sporting director Beppe Marotta has said the club will talk about a new contract with Mauro Icardi next week, telling fans they "have nothing to worry about." 09.25 GMT: And staying with Boca, reports say talks over the sale of midfielder Nahitan Nandez are continuing, with a €21 million offer understood to have been accepted. 09.10 GMT: TyC Sports reports that Boca Juniors have turned down a €15 million offer from Lille for defensive midfielder Wilmar Barrios, a Colombia international who has also been linked with Everton. 08.48 GMT: Watford have contacted both Maxwel Cornet's entourage and his club, Lyon, with a view to signing the forward in a €20 million move, L'Equipe reports. Cornet, 22, who impressed against Manchester City in the Champions League group stage, could be tempted by the switch as he remains on the fringes of the Ligue 1 club's squad. 08.27 GMT: Benny Feilhaber has agreed to terms with the Colorado Rapids, a source with knowledge of the deal has confirmed to ESPN FC. Feilhaber, who turns 34 later this month, agreed to a one-year deal with a club option for 2020. He was thought to be leaning toward re-signing with LAFC, the team for which he made 38 league, playoff and cup appearances last season, scoring four goals. 08.05 GMT: David Luiz wants to return to Benfica if he fails to reach an agreement with Chelsea over a new contract, according to reports in Brazil. The Brazil international has yet to sign a contract extension with the Blues, with his deal ending this summer. Fox Sports Brazil reports that Palmeiras, coached by Luiz Felipe Scolari, are monitoring Luiz's situation but that the 31-year-old defender's priority if negotiations with Chelsea are unsuccessful is to join Benfica. 07.30 GMT: Chelsea striker Michy Batshuayi's loan spell at Valencia is not quite going to plan, and that could mean him coming back to the Premier League this month. The Daily Telegraph reports that the Belgium international, who has scored only one goal in La Liga since moving to Spain in the summer on a season-long loan, is wanted by Everton. Everton are the Premier League's joint-highest scorers outside of the top six this season, but despite that they are only 11th in the table. Chelsea have rejected a cash-plus-player offer from Barcelona for Willian, according to the Daily Telegraph, with the Catalan club ready to consider a second bid. La Liga champions Barca are reported to have offered £38 million plus Malcom for the 30-year-old winger, who has been linked with a move to Camp Nou in the past. However, the Blues are reluctant to let Willian leave Stamford Bridge this month because of uncertainty over Callum Hudson-Odoi's future. The 18-year-old winger has been the subject of multiple bids from Bayern Munich. Barca are keen to offload Malcom, who has struggled to impress following his summer move from Bordeaux and missed two quality chances in his team's Copa del Rey loss to Levante on Thursday. The 21-year-old forward, who snubbed Roma to join the Blaugrana, has managed just 100 minutes in La Liga so far this term, but it appears he won't be reviving his career at Chelsea. Unai Emery may have ruled out signing players on a permanent basis this month, but Arsenal remain interested in tying up loan deals for Denis Suarez and Ever Banega. According to The Telegraph, the Gunners are hoping to snap up Barcelona midfielder Suarez and are also pursuing Sevilla's Banega, with both having previously played under Emery. Barca are willing to let Suarez leave during the current window and, while Banega is a more prominent first-team figure at Sevilla, the Argentine may be tempted by the opportunity to work under Emery again. Although it appears Arsenal will keep Aaron Ramsey until the end of the season -- the Welshman is tipped to join Juventus on a free transfer this summer -- the club seem keen on bolstering their midfield options as Emery attempts to secure Champions League football during his first year at the helm. Ole Gunnar Solskjaer is not surprised that Tottenham boss Mauricio Pochettino is being touted as the favourite to permanently succeed Jose Mourinho at Manchester United. The Norwegian, who has guided the Red Devils to five straight wins after his appointment in December until the end of the season, was speaking ahead of United's clash with Spurs at Wembley on Sunday. "The speculation is there for a reason, because he's done well," Solskjaer said. "But it's not my job to rate different managers. My focus is on me and my team." While Pochettino has been touted as United's preferred candidate, Solskjaer is believed to be interested in taking the job on a permanent basis. West Ham are weighing up a bid for Newcastle United midfielder Jonjo Shelvey. 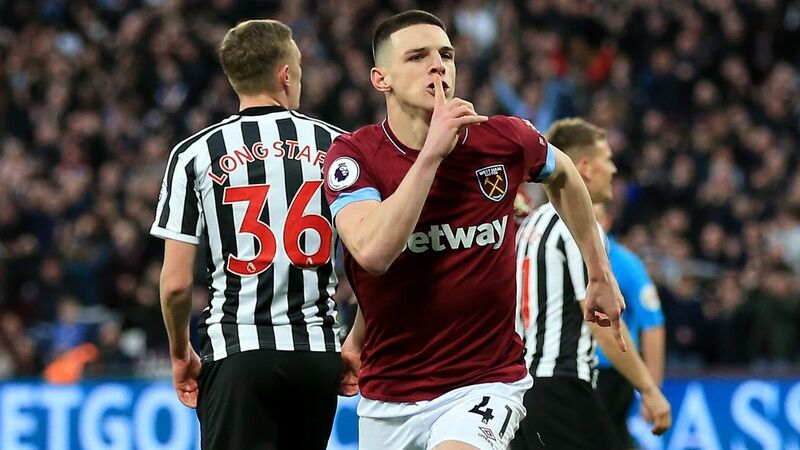 The Daily Mail claims Hammers boss Manuel Pellegrini is a fan of the 26-year-old but does not expect the Magpies to let him go quietly. Newcastle boss Rafa Benitez is unlikely to let Shelvey leave unless the club sources a replacement for the six-time England international. The Hammers have already added Samir Nasri to their squad in this window but face a fight to keep top scorer Marko Arnautovic at the club after the Austrian was the subject of a £35m offer from Chinese Super League champions Shanghai SIPG. Having seemingly won the race for Ramsey's signature, the Italian champions are eyeing up a summer move for Real Madrid midfielder Isco. Gianluca Di Marzio claims Juve sporting director Fabio Paratici has been in contact with Isco's entourage about a potential deal. 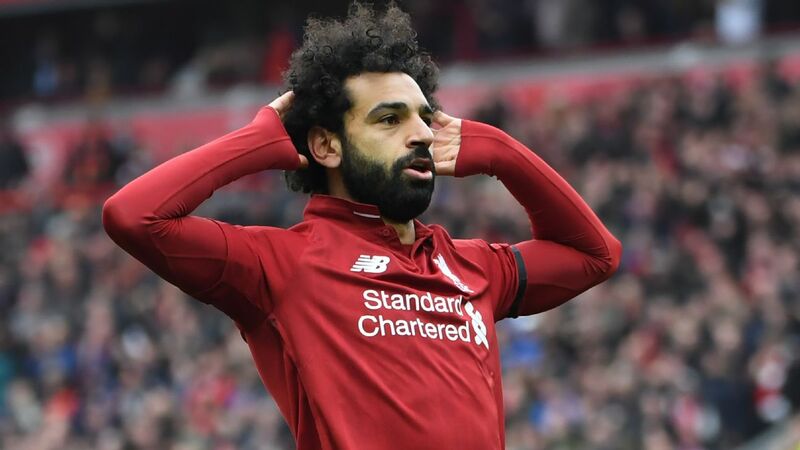 The 26-year-old has fallen out of favour at the Spanish giants recently with his last league start coming in the 5-1 defeat to Barcelona in October. The Gunners have held "positive" talks with Carrasco's representatives regarding a potential loan deal for the Belgian. The winger joined Chinese club Dalian Yifang from Atletico Madrid only in February, but is already keen to secure a move back to Europe. PSG are poised to ramp up their interest in the Napoli midfielder with reports in Italy linking the French champions with a £72m bid for the Brazilian. Les Parisiens are keen to secure a replacement for Adrien Rabiot, who is expected to join Barcelona, but it may take a bid closer to £90m to land Allan. Spurs have also reportedly joined Liverpool and Borussia Dortmund in the race to sign Timo Werner. The Germany international is enjoying a fine season at RB Leipzig with 11 goals in 17 games. The 22-year-old's contract at the Red Bull Arena is due to expire in 2020 and would likely cost in the region of £40m. Pochettino has identified the AC Milan midfielder as a potential replacement for China-bound Mousa Dembele. The Belgian is set to leave Spurs after the club accepted a £9m bid from Beijing Sinobo Guoan and Kessie, 22, is on the club's radar. The Ivorian has been one of Milan's most influential players this season, starting 18 of their 19 Serie A games. The Premier League leaders are said to be considering a shock move for the Burnley centre-half amid Jurgen Klopp's defensive injury crisis. Dejan Lovren limped off during the FA Cup defeat to Wolves to join Joe Gomez and Joel Matip on the sidelines but The Sun claims it would take a bid of nearly £50m to prise Tarkowski away from Turf Moor.